DALLAS (AP) — When Dallas goaltender Kari Lehtonen had to face Pittsburgh’s top three scorers in a shootout Friday night, he relied on a memory going back all the way to the first period. 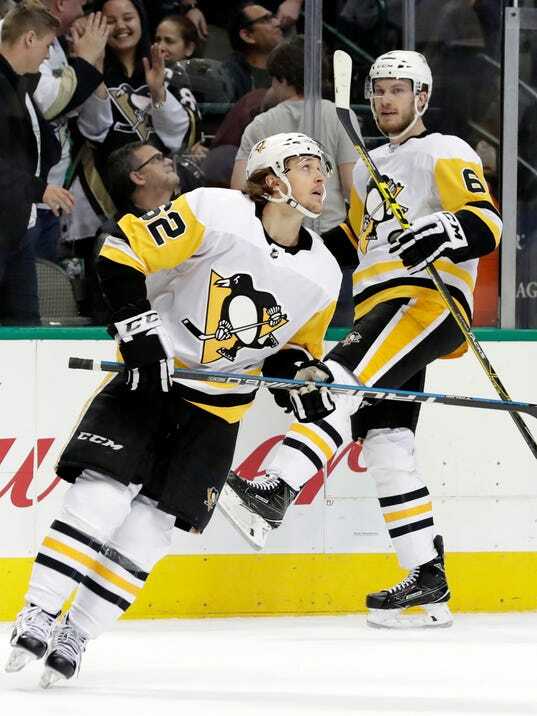 Carl Hagelin had beaten Lehtonen on a breakaway for a two-goal lead. The Stars came back to take a brief lead. With help from their goalie and a game-winning shot by Tyler Seguin, they earned a 4-3 victory over the Penguins.